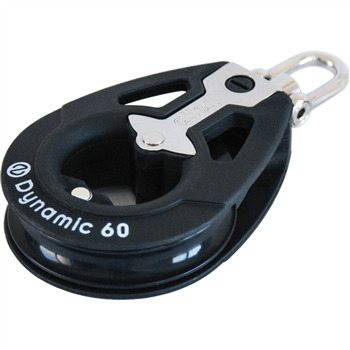 The 60mm Dynamic Bearing Block range was designed particularly for the catamaran market and sports boat market. They can be used in a variety of applications from jib sheet to mainsheet systems and are available in single, double, treble and quadruples, with or without stainless steel becket. They have a large central hole for tie-on becket requirements and the high quality design and engineering is noticeably in a league of its own.